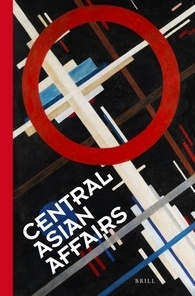 Central Asian Affairs (CAA) is a peer-reviewed quarterly journal established in 2014 that features innovative social science research on contemporary developments in the wider Central Asian region, including: Central Asia; Afghanistan; the Caucasus; Xinjiang; Kashmir; neighboring powers (China, Iran, Pakistan, India, Russia, Turkey); and any international powers or influences vis-à-vis Central Eurasia. CAA informs scholarly discourse and policy discussions about the region by engaging experts from public/ international policy and academia, originating from disciplines as diverse as: political science; sociology; anthropology; economics; development studies; and security studies. CESS is committed to the publication of peer-reviewed work which elevates scholarship in our field. We have partnered with CAA to arrange for a CESS members-only subscription discount of 30%. CESS members may purchase a hard-copy subscription to CAA for just $71/ year, or $41/ year for students (2019 rates). Brill publishes CAA in affiliation with the Central Asia Program at the Elliott School of International Affairs, George Washington University (Washington D.C.). Please visit the journal’s site to view the most recent issue’s contents, submission guidelines, and historical volumes. A full list of the journal’s Editorial Board may be viewed there as well. Dr. Marlene Laruelle (George Washington University)– a CESS member– serves as the journal’s Editor-in-Chief.